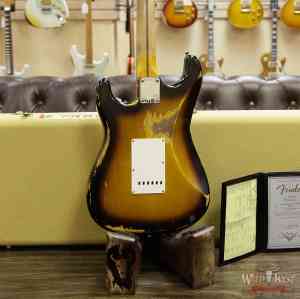 She is a tone beast! 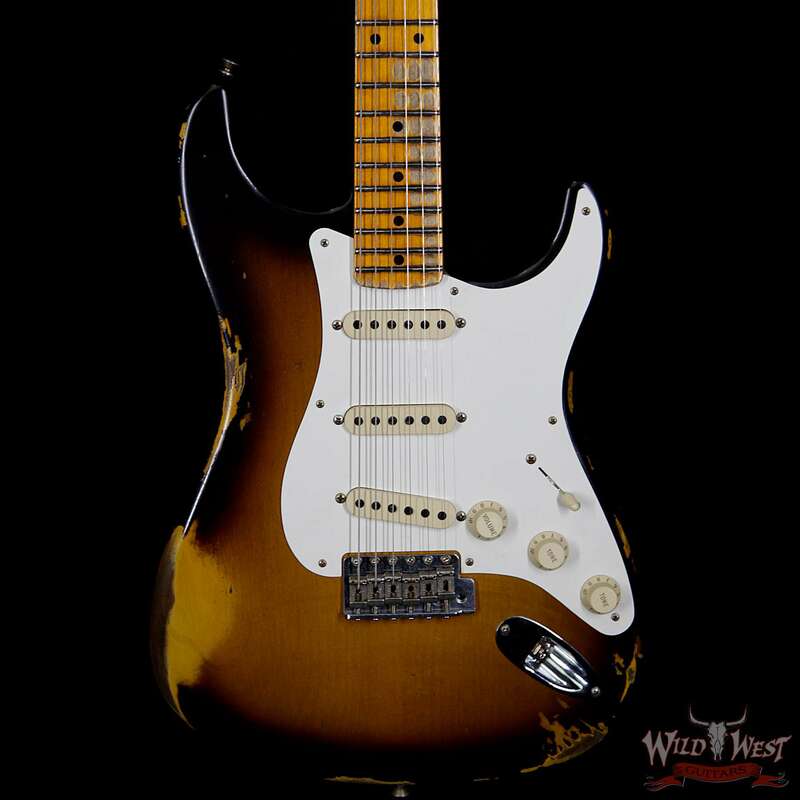 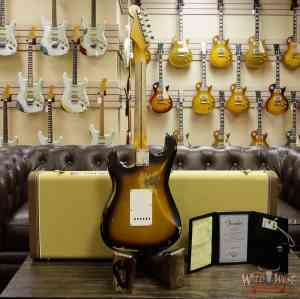 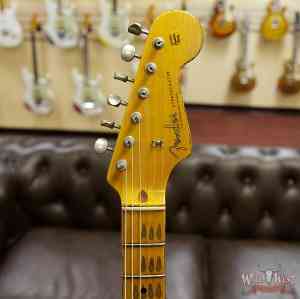 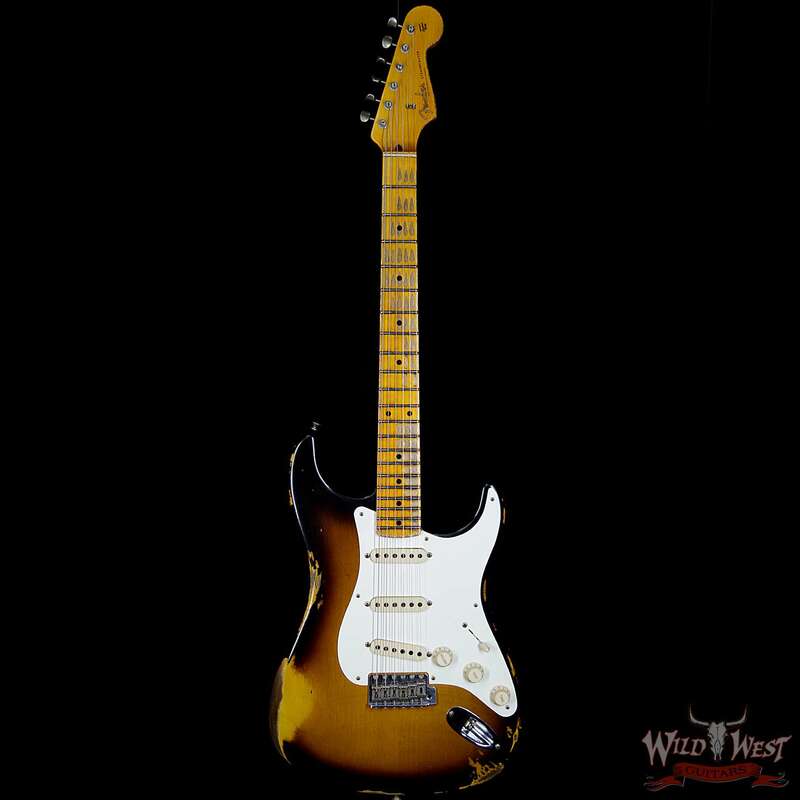 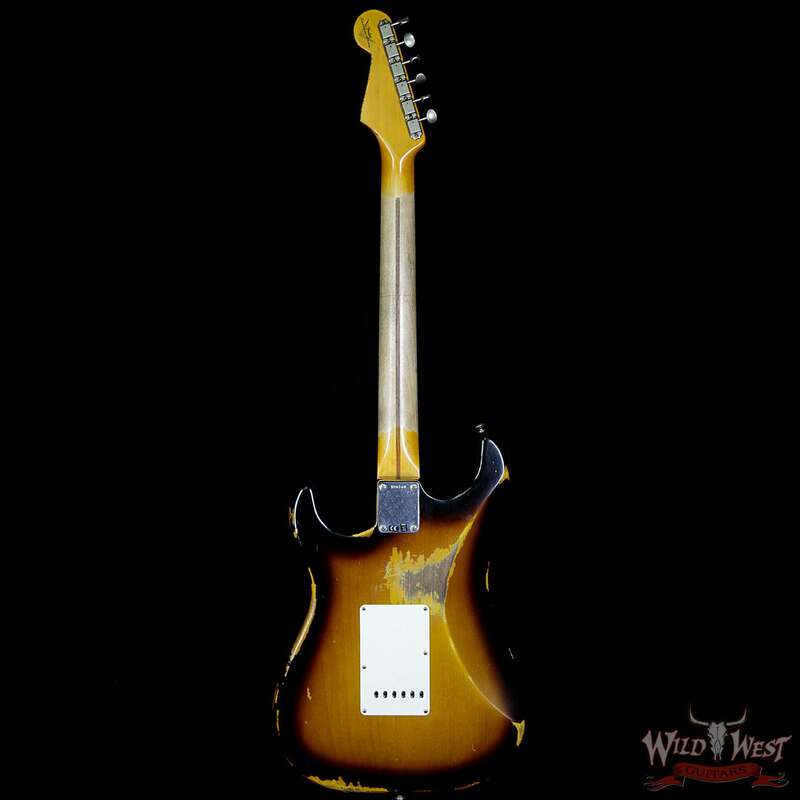 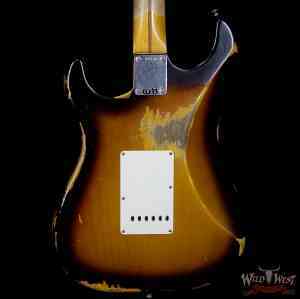 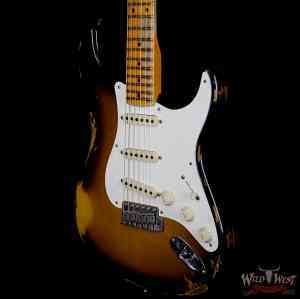 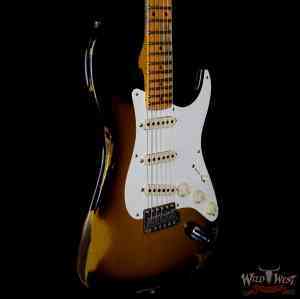 Fender Custom Shop 1957 Stratocaster Heavy Relic Electric Guitar. 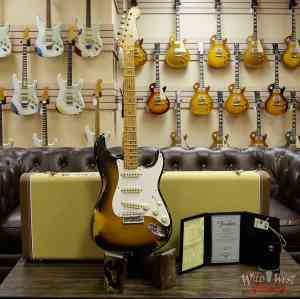 She has it all. On the outside she has been played hard and kicked down the road a few time but under the hood she is a brand new baby. No wear where you don’t want it and she plays and sounds like it. 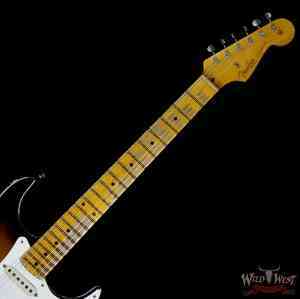 She will please any Strat player who straps her on. 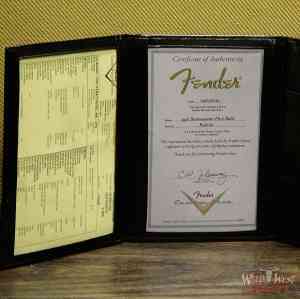 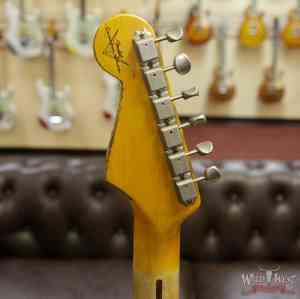 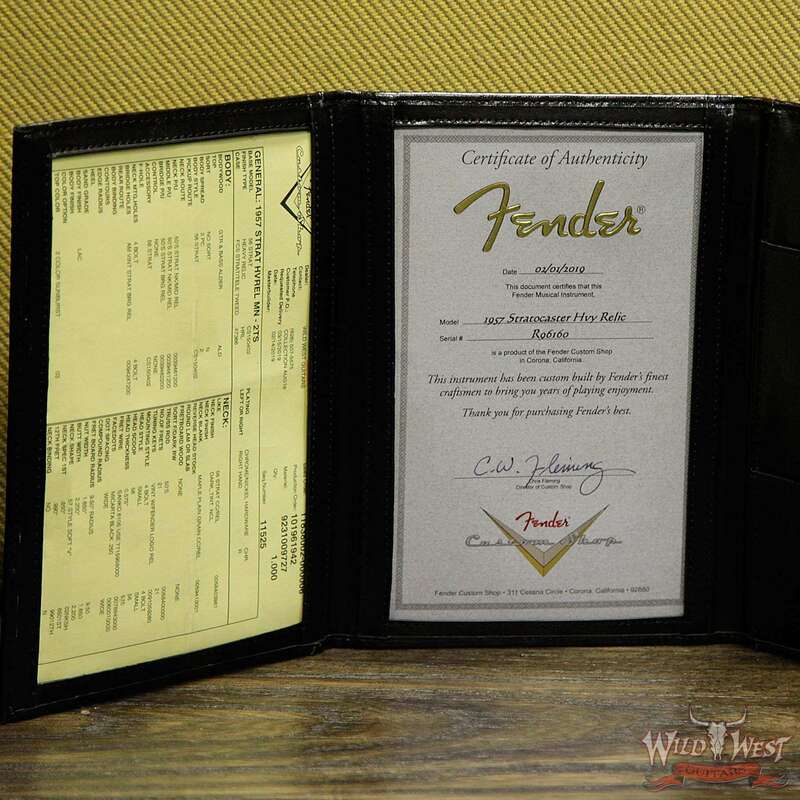 Close inspection reveals the remarkable workmanship and attention to detail for which the Fender Custom Shop is known. 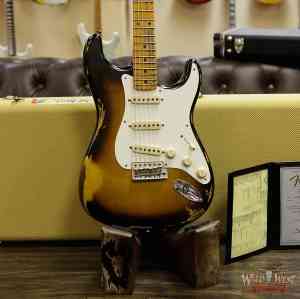 It’s available in a vintage combination of Strat specs. 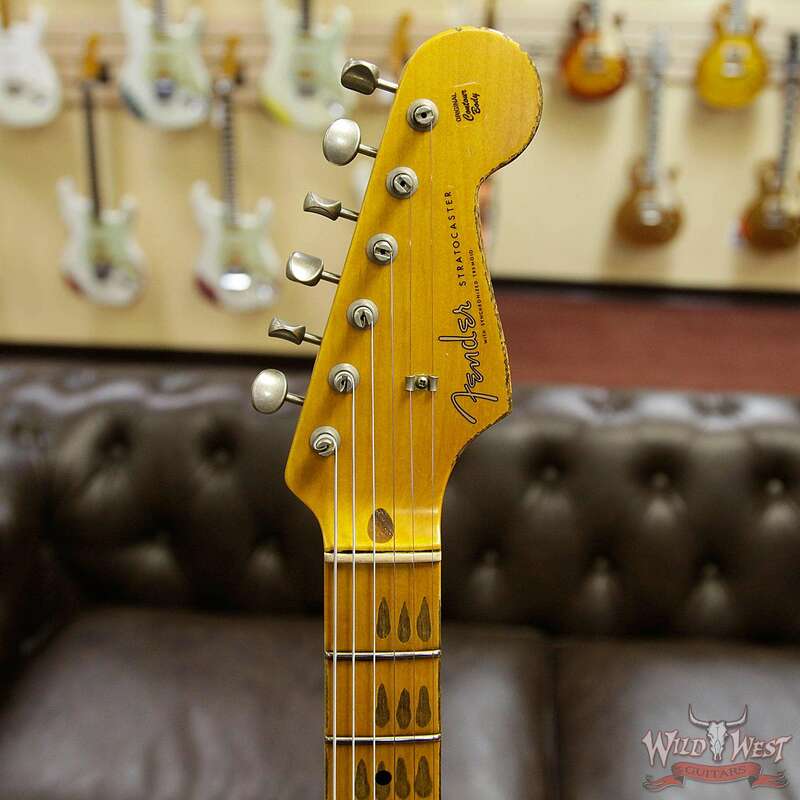 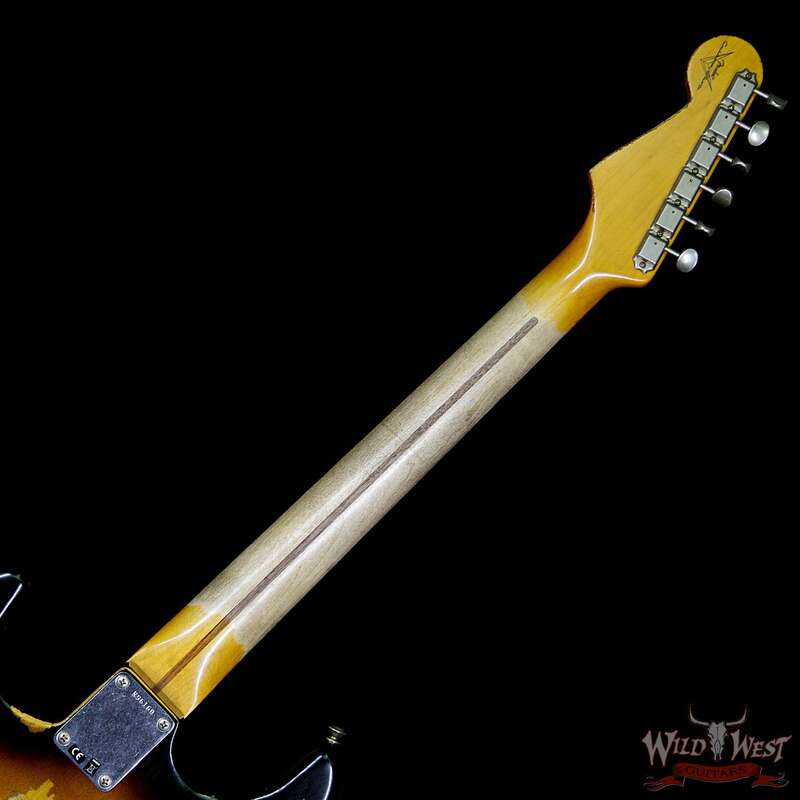 It has a contoured alder body with a 57 maple neck sporting a soft “V” back shape and 9.5” radius. The rolled edges on the neck make her feel like your best old pair of jeans. The fingerboard is maple with 21 frets, leading to Vintage Fender logo tuners. 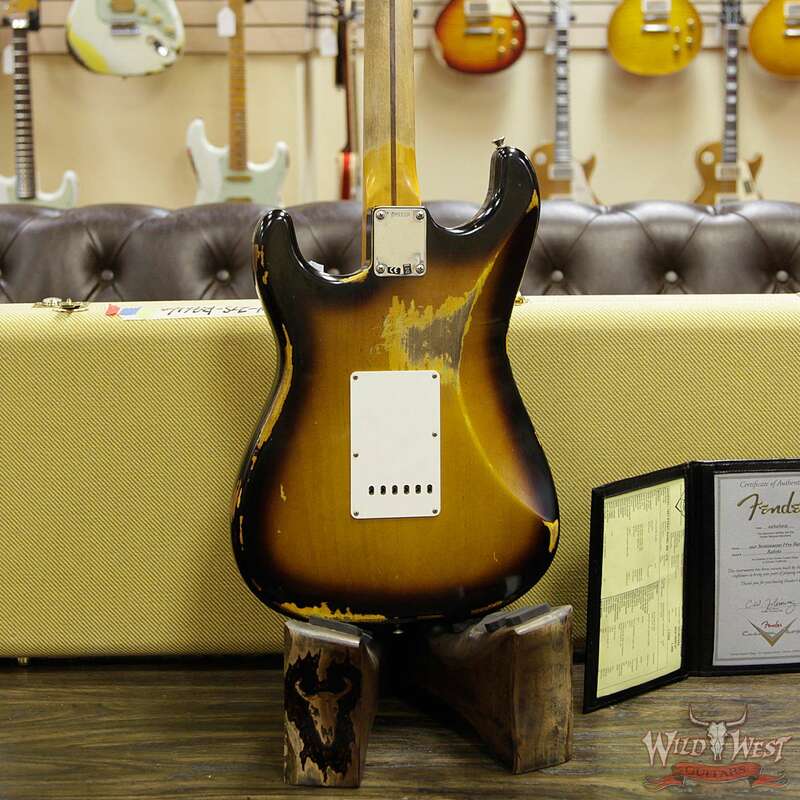 Perfectly incorporating a Vintage Strat tremolo bridge, the pickguard houses three Fat ‘50s Strat pickups with modern wiring for classic Strat tone.